Wedding planning can be stressful and nerve wracking, however, it doesn’t have to be. During our wedding planning process, we planned over 5 events for our guest for the entire weekend who came from all over the world. This required organization, patience, and time (and of course money). Looking back to 2.5 years ago when we started wedding planning, I was nervous that our wedding events wouldn’t look like the pictures from my “wedding planning” Pinterest board or that our wedding would be boring! Sameer quickly made me realize that no one will remember the details of the event like we will therefore we should pick what we like and make it as complex as we want. It didn’t have to be a big fat Bollywood wedding, however, it can be a big fat Ramzanali-Dhanjee wedding. Let me share some advice with Brides, especially, South Asian Brides. – Breathe through the entire process and enjoy every minute of wedding planning, even if if it gets brutal! At the end of the day, its not about the color of the tablecloth, but about building a stronger bond with your significant other during the process of picking out the color of the tablecloth. – Stick to what you and your significant want on your special day. If you want a small wedding, stick to it. We had a little over 200 friends and family attend our special day when typically South Asian wedding generally have over 400+ guests. We wanted informal events where we could mingle with the guests therefore we did many things out of the norm. 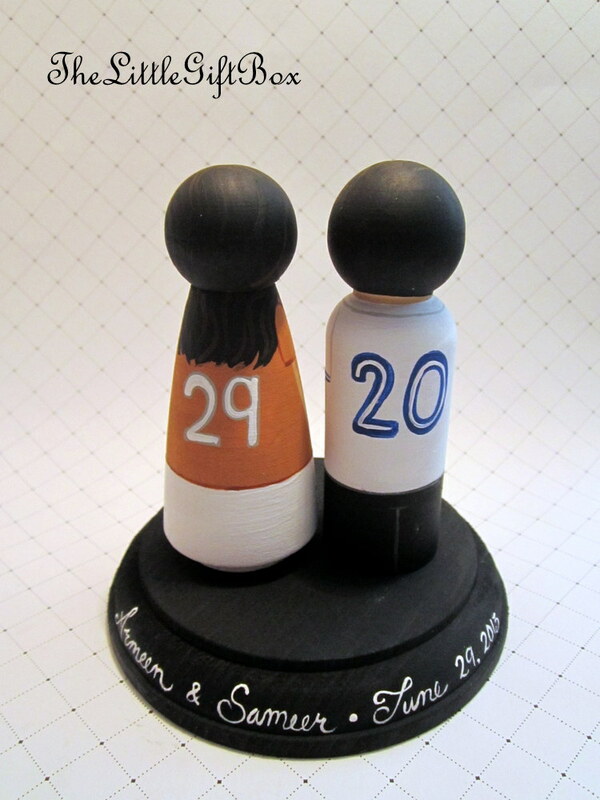 – Bring fun into wedding planning by looking at how you can personalize details in the event. 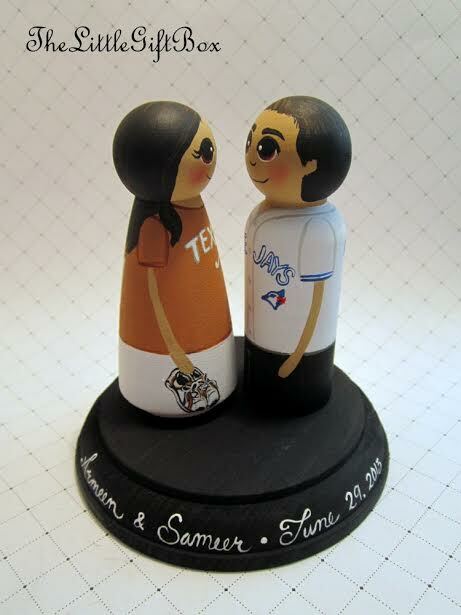 We had custom cake toppers made to reflect our personalities and hobbies, check out the pictures below. We also had table signs that looked like street signs, which had every street name that was special to us. For example, we had the street name of the hospital that we were born in, every street we lived in our lives, and even the street name of the airports we frequently flew out of since the airport played an important part in our relationship. – If you get stressed, honestly, step away for a few hours or even days from it. Vendors are not going anywhere so just take a break! – Remember to always spend time talking to your Fiancé about things other than wedding planning. Seriously, picking out centerpieces and table clothes gets boring. – Get your family and friends involved. They will appreciate it, plus it will allow you to make memories with them before you become a Mrs.
– Create a spreadsheet and create tabs for everything you are pricing out. No one is going to judge you. Enjoy every minute of it, you are going to miss it! Follow the Torontican on Twitter! Want to see my life in pictures? Follow me on Instagram! Gyesan Girls High School Conversation Class!